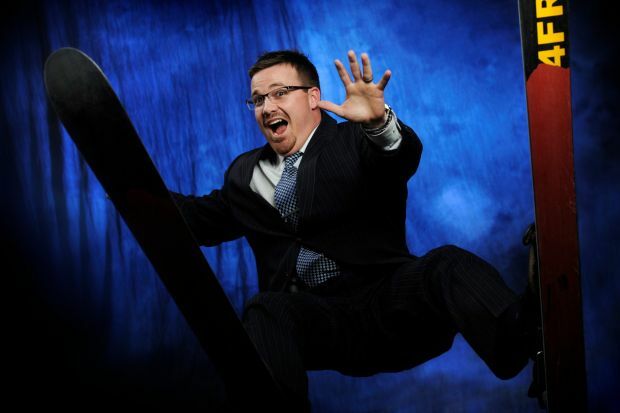 Congratulation Gabe on being included in Billings Gazette’s 40 Under Forty! See the write up featured in the Gazette below. See original article in the Billings Gazette. Some recent and near retirees have managed to squirrel away a nice nest egg and are planning to spend their golden years taking long walks on warm beaches. But, according to AARP, around 20 percent of boomers have almost no retirement savings. Financial adviser Gabe Lapito said baby boomers are affecting the economy like a python trying to digest a pig. It’s a big challenge. Lapito, owner of Billings-based Strategic Retirement Plans, said preparing for retirement is one of life’s most important tasks. Lapito has always been interested in finance. Lapito said Strategic Retirement Plans is a full-service firm that helps clients with an array of financial issues: insurance, estate planning, income tax planning and investment advice. Describe how you got where you are in your work today: With a lot of hard work, a lot of schooling and taking lots of tests outside of the school setting. That is just one of the many requirements for the field in which I work. What’s the toughest challenge that you have faced in your business? The political environment we’re in, the economy and how that affects a lot of the day-to-day concerns that my clients have with money management. What did you learn from that challenge? Throughout the ups and downs of that environment, it is every bit as important as it is managing their investments and expectations. What’s the best business advice you have received? It is something that I practice in my business every day and that is to make sure that relationships are established with people before any business is transacted. Who gave you that advice? Warren Buffet. I met him when I was getting my MBA at Creighton University. Here’s what I’d like to do to improve my community: I believe it is important to make people aware that there are a lot of nonprofit organizations that work behind the scenes to make the community that we know and plan the events that we have. There are a lot of great people with good hearts that are doing good all throughout this community and it makes me want to be part of it, and be proud that I can help make a difference. Aside from profit and loss, how do you measure success in your job? I measure success in my work on my clients’ overall satisfaction and a good way to measure that is through client retention. We have quite a few long-term clients that are like family, and that is a great picture for me of what success looks like. I would also add staff retention as well. Currently we have three staff members with more than 10 years with our firm, which is impressive considering the size of our staff. Which living person do you most admire? Billy Graham is who I have really looked up to for many years. The way he lives his life, being an upstanding man of God and loving and serving people is really inspiring to me. What do you consider your greatest achievement? My two children. They are life’s biggest blessing to my wife, Brandi, and me, and the responsibility that comes with that is a great but rewarding challenge. I’m happiest when I’m… Spending time with people I love, outside in nature. I am really close with my family and friends. I also love to spend time with pastors that we help through my nonprofit, Refuge Foundation.